It’s extraordinarily rare but there are moments in our lives that can only be described as a dream. One from which it seems like you are floating above yourself, looking down at the event happening and you’re in complete disbelief that that is you. This is exactly what happened to me when I interviewed our guests for today’s podcast. I have used their therapy method in my private practice to help many people get through situations that were destroying their relationships for many years. These guests have played such a massive role in who I am professionally that saying it was an honor is too weak - It was magical. 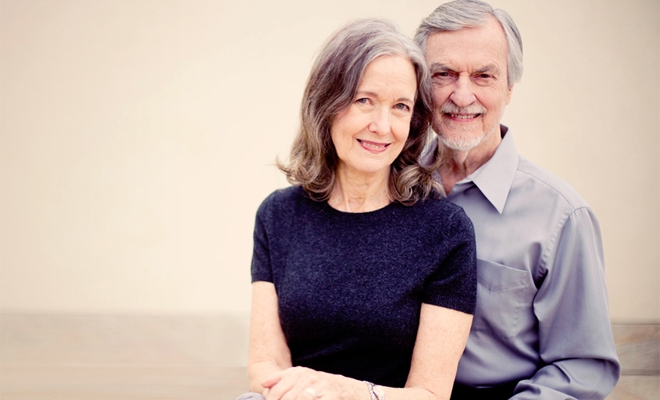 On our show today we have Harville Hendrix and Helen LaKelly Hunt, internationally-respected couple's therapists, educators, speakers, and New York Times bestselling authors. Together, they have written over 10 books with more than 4 million copies sold, including the timeless classic, “Getting the Love You Want” which has been fully revised for 2019 so go order it right now. Actually wait until after this awesome interview with them and then go to their website www.harvilleandhelen.com to buy all their books. Harville has been on the Oprah Winfrey Show 17 times but he’s stepping up his game by coming on our awesome worldwide podcast right now. That’s right I just said our podcast is better than Oprah’s unbelievably successful show….I’m just saying. Harville and Helen co-created one of the therapy methods I use all the time with clients called Imago Relationship Therapy. This is a form of therapy that focuses on relational counseling to transform any conflict between couples into opportunities for healing and growth. Who doesn’t want healing and growth in a relationship? EVERYONE…right? I could go on and on about all the accomplishments Harville and Helen have achieved together in the last 30 years and tell you how awesome I think they are over and over again, but I have the most amazing interview I can’t wait for you to hear. I hope you are ready to learn from legends in the field of therapy and listen to me try to act and stay cool as I’m fanning out like a teenage girl at the height of Beatlemania.